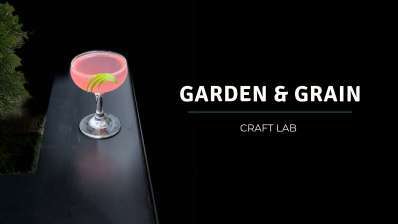 As our Garden & Grain expansion gets underway this month, adding an outdoor cocktail bar and a private event space in our restored warehouse, we're launching our experimental Garden & Grain Craft Cocktail Lab. As G&G head man Nathan Simmons builds his menu for a spring launch, we thought these craft labs could do two great things at once: Allow our staff to hone in a perfect menu ready for beautiful spring sun AND use our awesome customers as our sounding board. So what happens? Every Friday Nate will roll out a special menu filled with experimental concoctions he's testing for the G&G menu launch. Nate will be on site to serve you and hear your feedback during each and every Craft Lab.